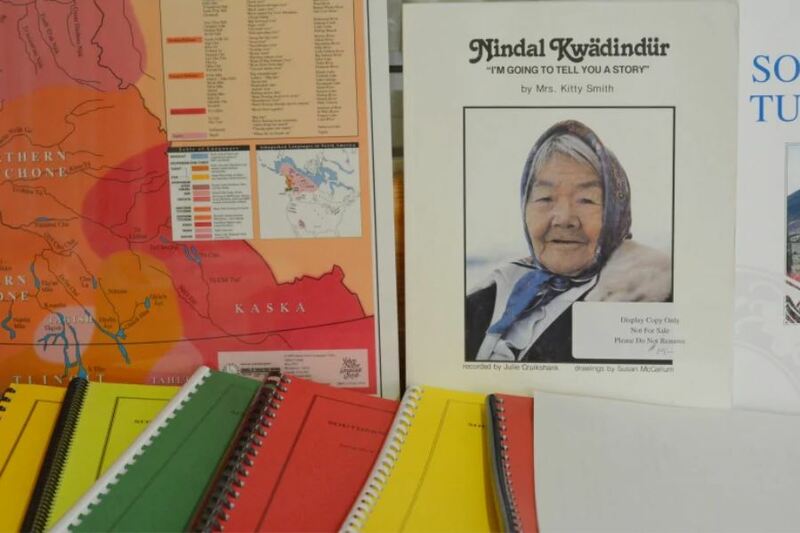 There’s at least 10,000 pages of material in eight languages — Gwich’in, Han, Kaska, Northern Tutchone, Southern Tutchone, Tagish, Tlingit and Upper Tanana. “Until now people from the communities would have to come into the language centre to access any resources. Or they’d have to put in an order and it would be mailed out to them. And they weren’t free,” she said. One great benefit to scanning is that people can now search the records electronically — for instance searching for one word or a person’s name. “You can actually search through all of the 10,000 pages that have been scanned,” Dempster said. 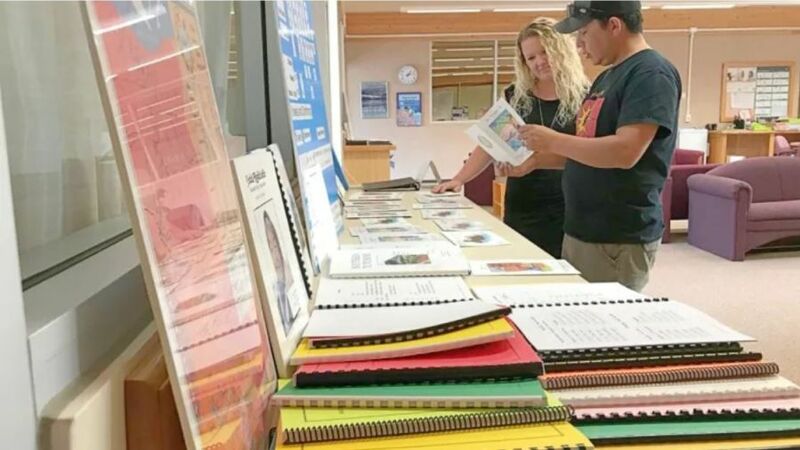 The digitization of material has been happening for years with help from a linguistics project at Carleton University, as well as the territorial government’s Department of Education. One of those people is U’yenets’echia, also known as Sean Smith. He’s been building fluency in Southern Tutchone and Tlingit. The next step for the centre will be adding more audio. The Yukon Native Language Centre’s website already has a dictionary for Kaska that features pronunciations recorded by elders in communities.